Bellator MMA will be kicking off an eight man welterweight Grand Prix starting on Sept. 29 in San Jose. Bellator MMA is looking to prove they have the best welterweight roster in the sport with a Grand Prix tournament kicking off on Sept. 29 in San Jose. On Monday, Bellator officials confirmed to the L.A. Times that the welterweight Grand Prix will feature eight of the top fighters from the division squaring off in a tournament that will take place in 2018 and 2019. Bellator is currently in the middle of a heavyweight Grand Prix that is still running to determine a new champion for that division. The Bellator welterweight Grand Prix will features eight top fighters from the division including current champion Rory MacDonald, who is expected to participate in one of the opening round matchups. 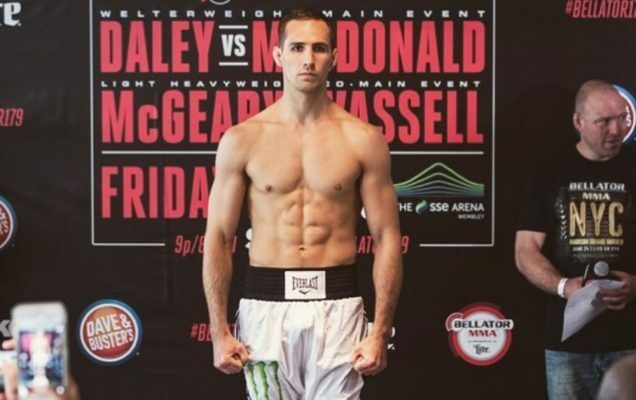 MacDonald will be competing on Sept. 29 in a super fight against Bellator middleweight champion Gegard Mousasi as the reigning welterweight king will move up a division in an attempt to become the first ever fighter from the promotion to hold two belts simultaneously. After that fight — win, lose or draw — MacDonald is expected to then return to welterweight to compete in the Grand Prix tournament. Other participants expected to compete in the tournament include former champions Douglas Lima and Andrey Koreshkov as well as heavy handed British slugger Paul Daley. One fighter who was announced for the tournament was highly touted prospect Michael “Venom” Page but sources told MMANytt’s Jim Edwards that he has not yet been confirmed to participate in the Grand Prix. Page is currently in negotiations with Bellator on a new contract and it appears he wants to get that settled first before booking his next fight. Bellator also just recently added former UFC title contender Jon Fitch to the promotion’s roster so it seems entirely possible that he would also compete in the tournament. As of now, no first round matchups have been announced but it’s expected that Bellator will address the tournament at a planned press conference scheduled for Tuesday in New York.